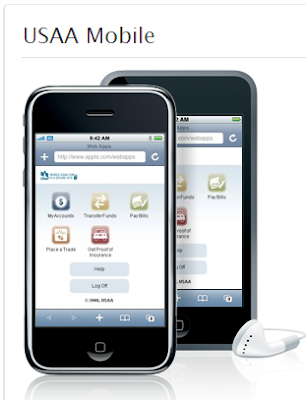 The USAA has created an iPhone app that eliminates the need for going to the bank to deposit your cheques. The USAA iPhone app lets users snap a picture of the front and back of their cheque and deposit it into their account. While only currently in use for active-duty military personnel, this app is a cool step towards no bank lines. While definitely not an app for those who don’t trust technology, this seems like a cool new development in easy banking. Apparently it's been downloaded 150,000 times since its launch earlier and processed over $1.5 million in deposits in its first three days. Granted, any typical bank branch probably processes tens of millions of dollars in deposits each day. But it's still kind of cool that you can do it from your phone.